Comprising optical compartment, pole, arm (single or double) and pole-top. Optical compartment and hatch in die-cast aluminium; tempered sodium-calcium sealing glass, thickness 5 mm. 50 Shore black silicone gasket; 99.93% super-pure polished and anodised aluminium reflector. Side mount in die-cast aluminium for whip-type poles having diameters between ø 46 and ø 76 mm. No upwards dispersion of the luminous flux. High yield optics (Opti Smart Reflector) with uniform light distribution. 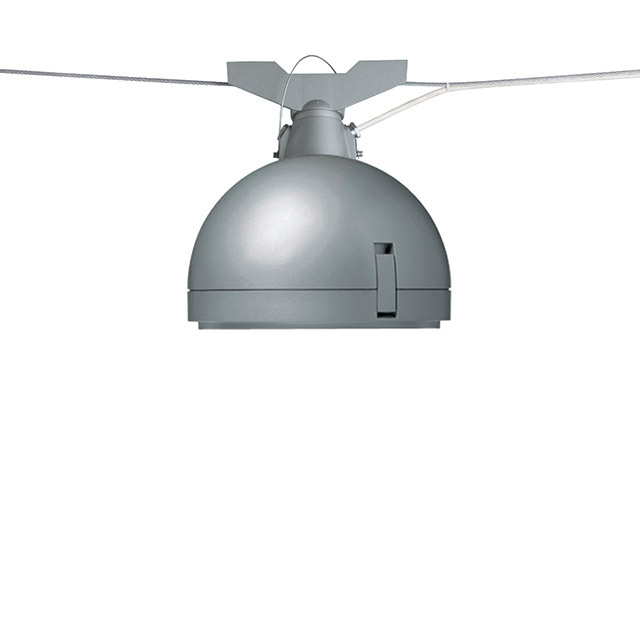 No photo-biological risks .This luminaire is in the “Exempt Group” (no risk linked to infrared, blue light and UV radiation) in accordance with EN 62471:2008. 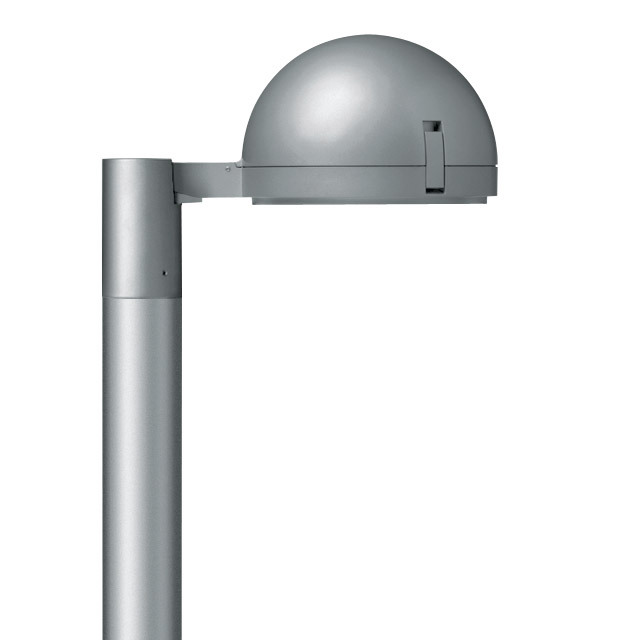 The luminaire is fully programmable as regards luminous flux emission through the MY92 device. Overvoltage protection: 10kV in Common Mode (CM), 6kV in Differential Mode (DM). Replaceable driver and power supply unit. All external screws used are in A2 stainless steel.